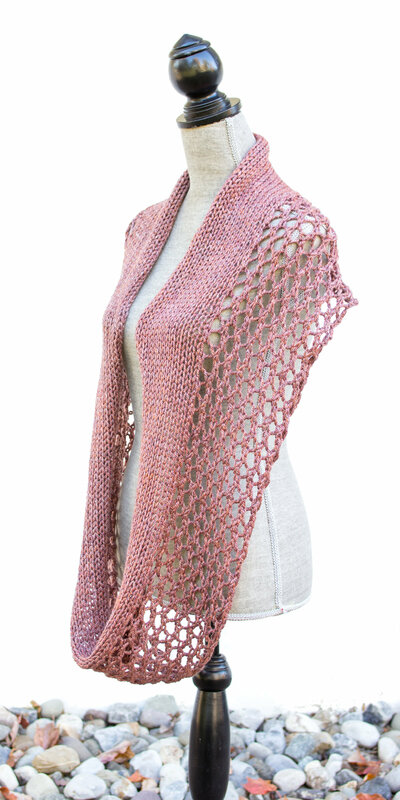 I have released a new knitting pattern called Harvest Loop. It is an infinity scarf that is worked flat and can be worn looped once around your neck or twice. The pattern calls for aran weight yarn. I designed this in mind to work well with some plied handspun. You can easily adjust the length of the pattern by adding or removing rows. I have released the pattern on Ravelry and it will be FREE until Wednesday November 9th at 10:00 Eastern time. I wanted to give everyone on the Yarn Along a chance to get it in their library before I start charging for it. After tonight it will cost $3.50. I hope you enjoy making it and I would love to see your finished Harvest Loops posted in Ravelry! The yarn I used for my Harvest Loop is Sweitzer's Fiber Mill Harvest Yarn. It is their Maize yarn and it is made from corn and merino. Sweitzer's sells their yarn on their website which you can check out here. I am joining in Ginny's Yarn Along. ps- Thank you to everyone on Ravelry for your amazing support and lovely comments on this pattern.